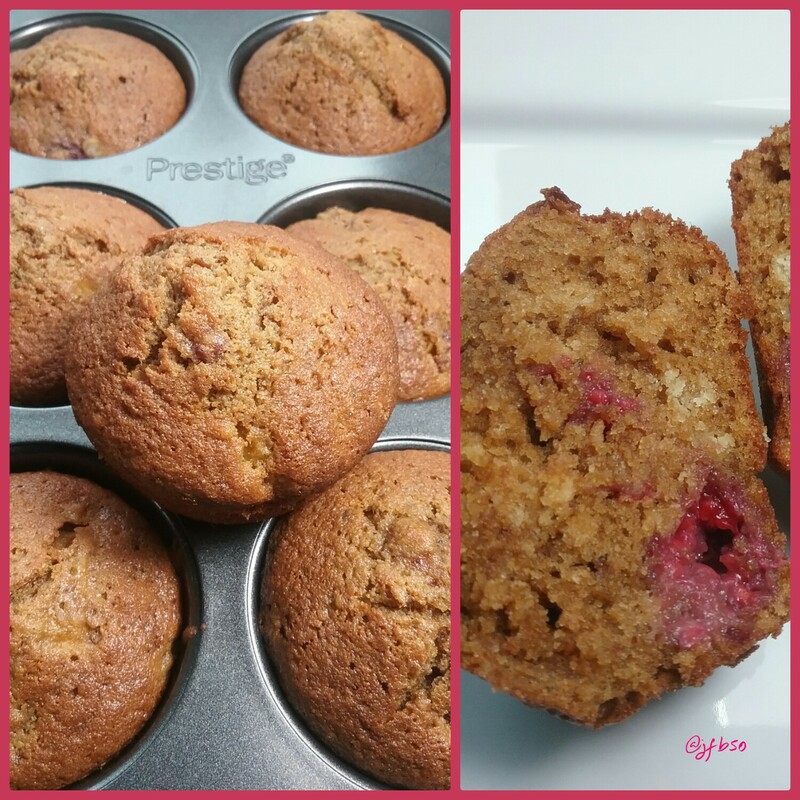 Banana and raspberry gluten free muffins | Jo's food bites. What do you do with the sad brown banana left in the fruit bowl? Bake with it! The natural sweetness of the ripe banana reduces the amount of sugar needed in the mixture. Fresh raspberries with their tangy flavour compliment the banana extremely well. Put the flour, butter, sugar and eggs in to a bowl and mix thoroughly. Add the mashed banana and mix till combined. Add the raspberries and mix gently. Spoon in to the muffin tin. Bake for 12-15 mins until cooked. These look great Jo – the downside for me is that even though bananas are plentiful year round in Australia raspberries are much rarer and always very expensive…. we are gluten free and dying to have some bread , muffin , cake like flavours. i see you used a gf self rising flour. how can i make some from scratch? and which brand did you use?